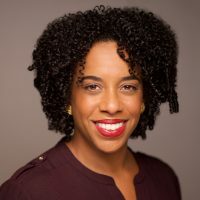 Julia Beatty joins the Black-Led Movement Fund at Borealis Philanthropy with an extensive background in community organizing, racial justice advocacy, donor organizing and intermediary philanthropy. She formerly served as the Director of Programs for the Twenty-First Century Foundation, which was a 40-year old Black-led intermediary philanthropy that provided multi-year, general support to grassroots organizations based in Black communities and led by Black people. Julia has most recently worked with national policy organizations to build the organizational and leadership capacity necessary to create and sustain community change. She is the former Director of Grants Development, Evaluation and Communication for the W. Haywood Burns Institute, a national training intermediary that aims to eliminate structural racism within juvenile justice systems. She has also worked with the Center for Social Inclusion to deepen the structural racism analysis of leaders in advocacy organizations and assist them in crafting racially equitable policy strategies on infrastructure issues critical to communities of color. As a funder, Julia’s work after Hurricane Katrina resulted in $4 million in new grants and organizational development resources to local Black-led organizations engaged in racially equitable community transformation efforts in the Gulf Coast. Julia holds a Bachelors of Arts in Journalism from the University of Wisconsin at Madison and a Masters of Public Administration from New York University. She lives in Harlem, NYC with her wife and two Jack Russell Terriers.